The Janasena Supreme Pawan Kalyan made a big announcement regarding the upcoming snap polls of Telangana. 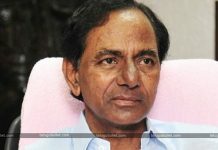 He declared that his party would contest in as many as 24 constituencies in Telangana. Pawan Kalyan is ridiculed for completely ignoring his party in Telangana despite opening a grand party office in Hyderabad. Focussing on AP and its issues, his own party cadre in the newest state of India are desperately waiting for Janasenani’s updates in Telangana. For those and to his haters, he made a stunning revelation in his recent press meet today. Speaking to the Press, Pawan Kalyan declared that he is going to make his Janasena members contest in 24 Assembly segments in the upcoming snap polls. He explained that when he was working as Youth Wing President during PRP, he identified potential leaders and now they are busy working in TRS. This will be a brilliant piece of news for his supporters in Telangana but the TRS camp will not be happy as it is looking forward to seeking the support of Pawan Kalyan to fight against Mahakutami. Maybe KCR and Pawan are going to have the post-poll alliance if at all necessary.